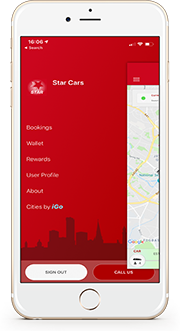 Every time you book via the Star smartphone app you can earn points which can be converted into free travel. 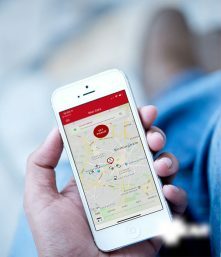 It’s really simple, just book your journeys with the app as usual and for every £1 you spend on fares, you will earn 2 points. When you have accumulated 100 points, this automatically turns into £2.50 credit on your account. So remember when you next travel – book via the app and earn Star Rewards! You can only redeem your points if it covers the entire cost of your journey. Our minimum fare is £4.00, so you need to wait until you have accumulated 200 points, i.e. £5.00 in credit before using your points.